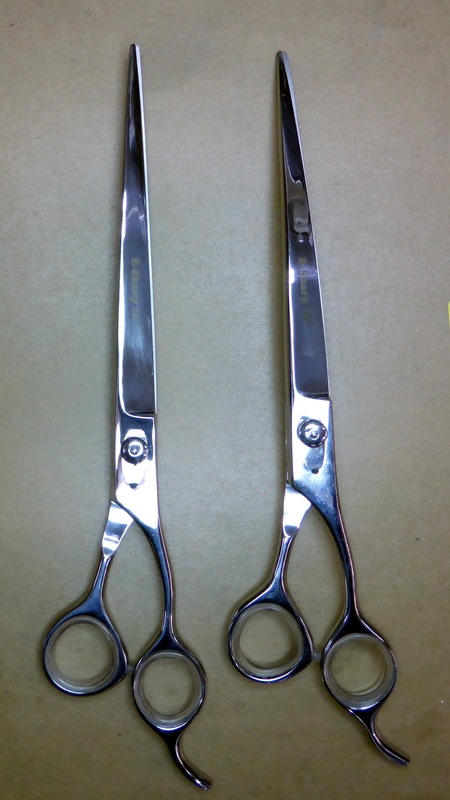 Custom grooming and salon scissors, custom sharpened here at Bruce's Sharpening. 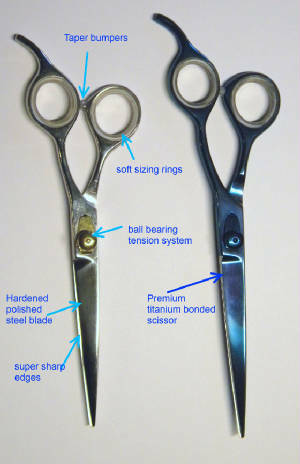 B-Sharp grooming scissors come in polished steel and blue titanium. 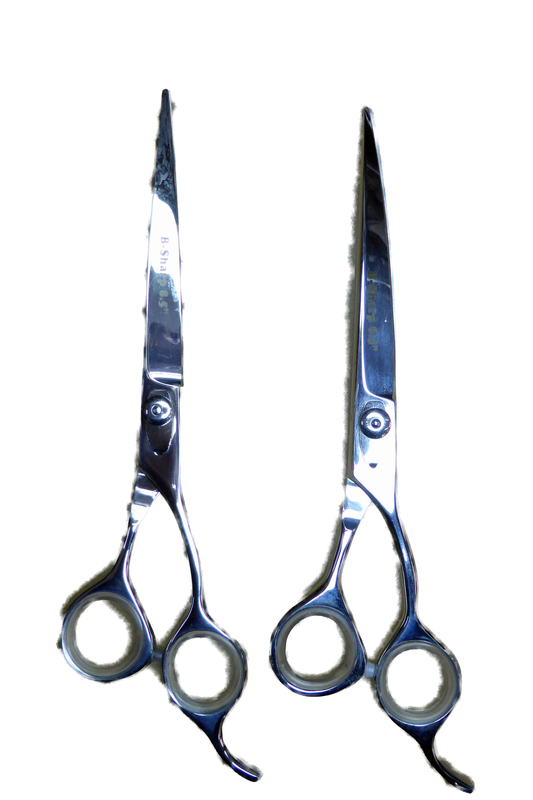 These scissors have hardened steel blades, ball bearing pivots for smooth action, adjustable finger tension nuts, soft fingerhole inserts, plastic bumpers and are custom sharpened in my shop for the finest cutting. Available in 6 1/2", 7 1/2", 8 1/2" and 10" straight and curved sizes plus a 7 1/2" thinner, 8 1/2 chunker/texterizer a straight and curved ball tip and a small saftey nose scissor in both curved and straight versions with regular slotted screw pivots. 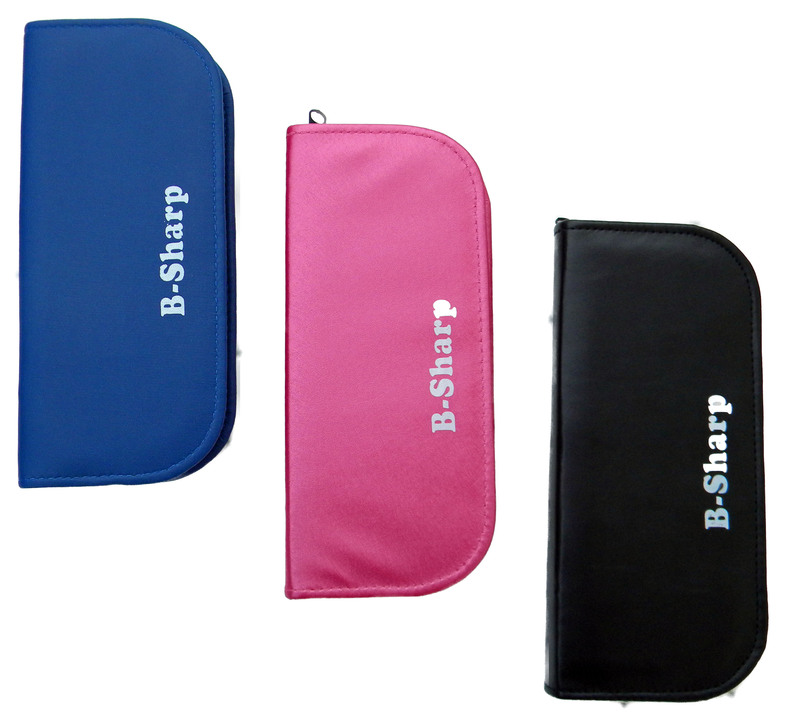 Custom soft padded zippered scissor cases in Pink, Blue and Black are also available. Email brucesharp1@yahoo.com with your questions or order. Payment methods PayPal or Credit Card. 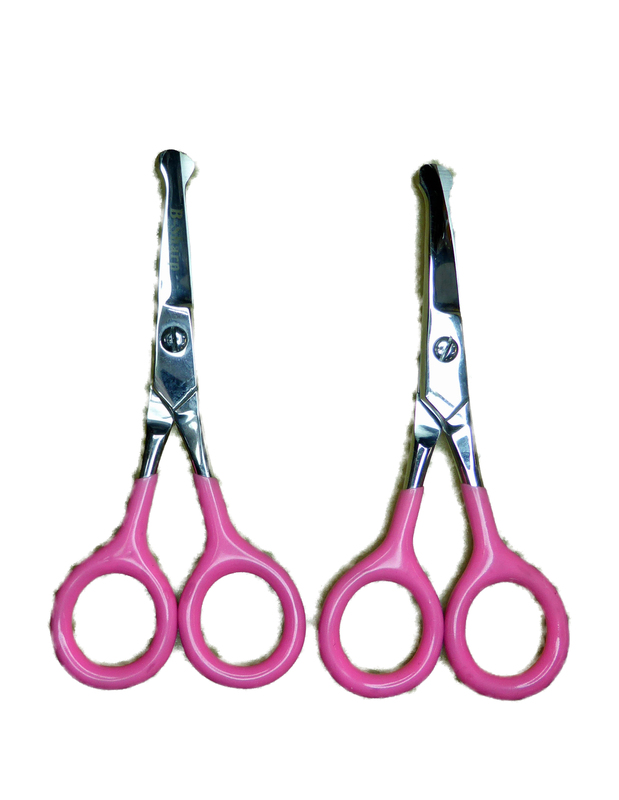 These Soft Padded Zipper scissor cases will protect your scissors when not in use. Available in 2 sizes and 3 colors. Check on availability. A basic set of scissors gets you going quick. 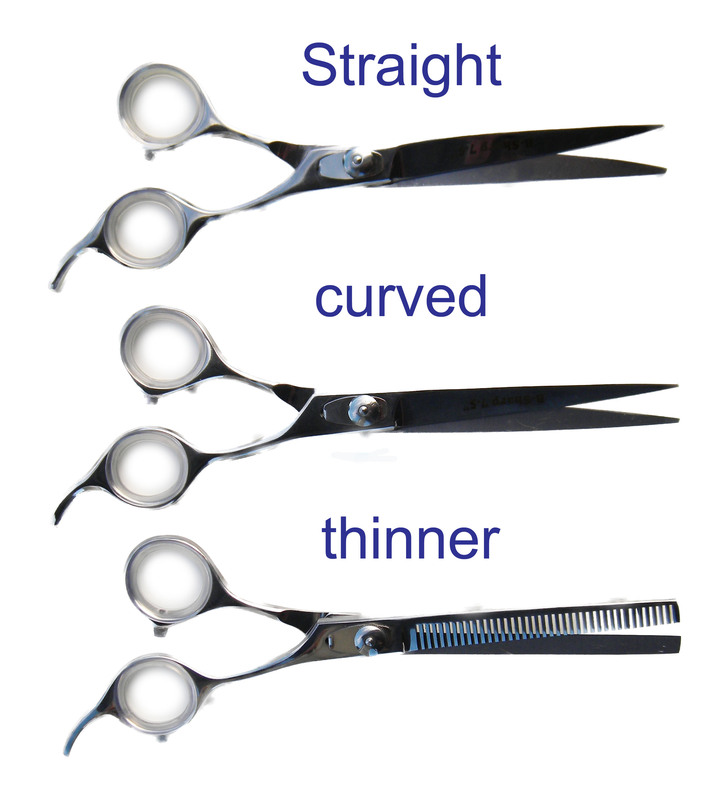 Choice of straight or curved or mix. 15% discount when buying a set.